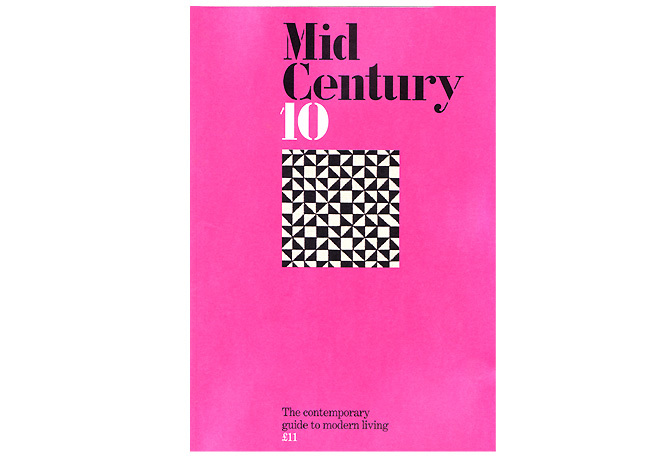 Mid Century magazine, the contemporary guide to modern living is out for sale now! 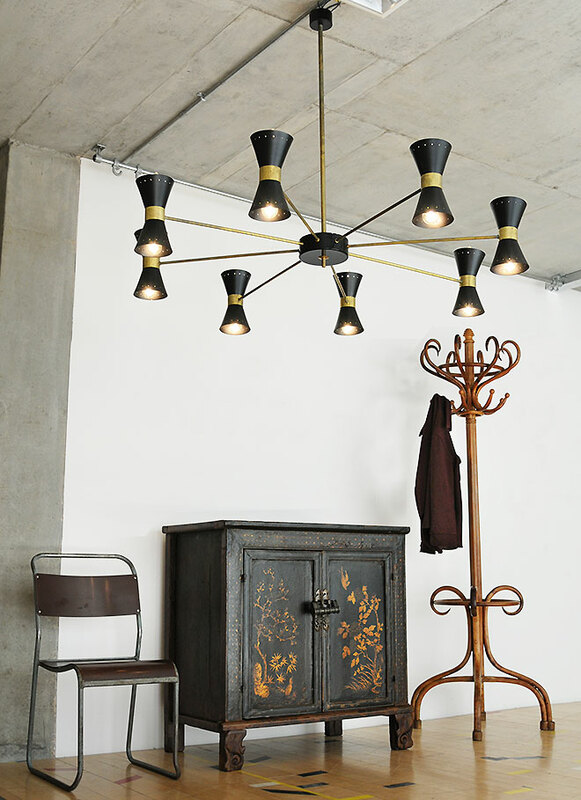 The latest issue 10, reveals some beautiful mid century homes with a selection of our iconic pieces. 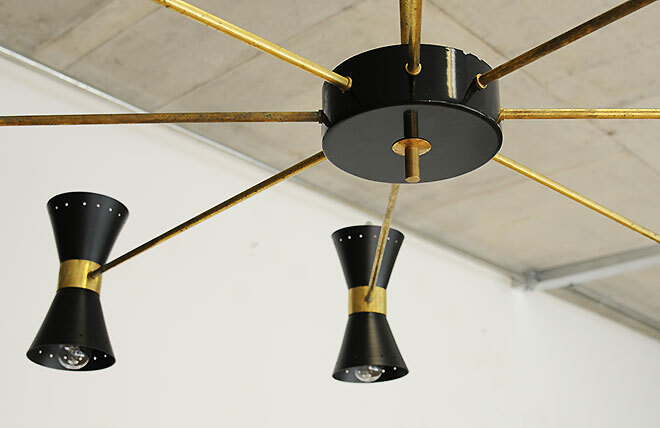 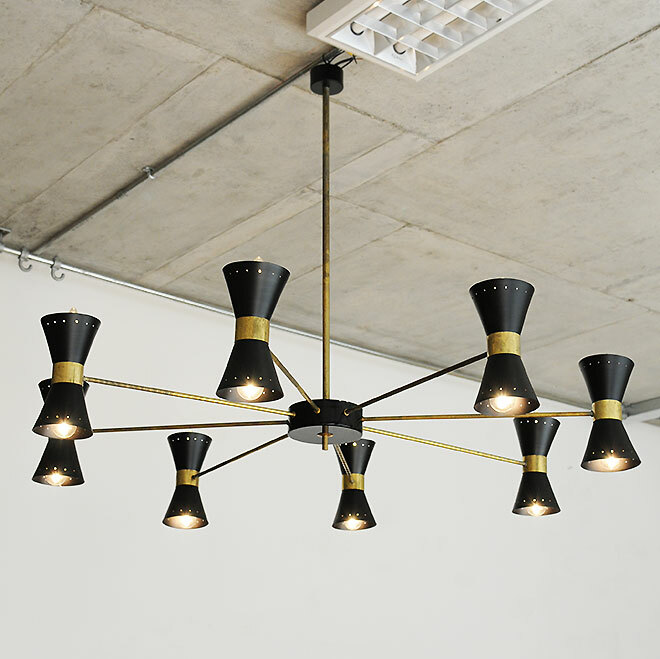 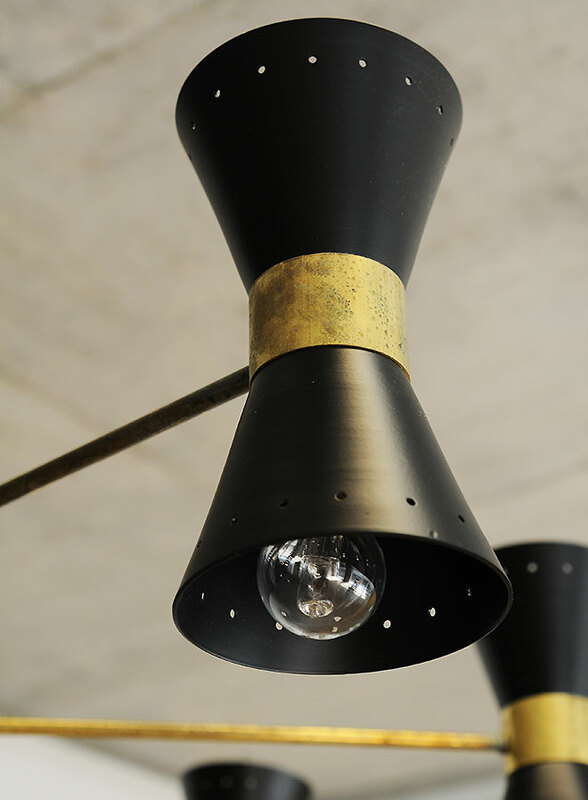 This Mid Century Chandelier is a good example of 1960's designs, made of high quality brass construction with 8 cone shaped black metal sconces that each take 2 bulbs radiating from the centre.